It isn’t a ‘Hannah’ holiday if I don’t return half an inch shorter with all the walking. It isn’t a ‘Hannah’ holiday if I didn’t take over 200 photos. It isn’t a ‘Hannah’ holiday if there are no magnificent buildings, awe inspiring churches, historic castles and a sense of rich culture and uniqueness. And of course, it isn’t a ‘Hannah’ holiday if I didn’t get to see the libraries and bookshops. 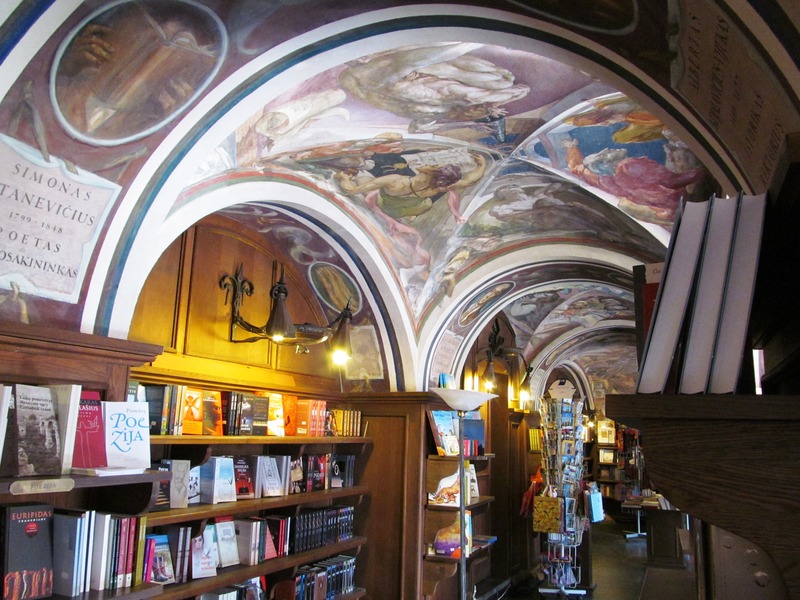 The most impressive book shop in Vilnius has to be the university book shop “Littera” situated in the M. K. Sarbievijus courtyard in the Old campus. Books for pleasure and study are available in Lithuanian and English, and the book shop even sells university souvenirs. 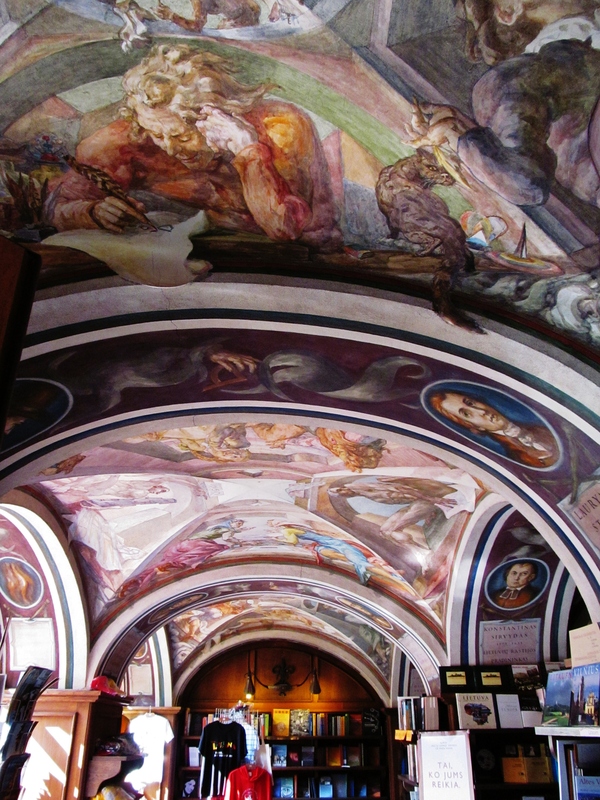 The colorful frescoes of the shop’s ceiling caricature students and professors, and were painted by Antanas Kmieliauskas in 1978.